Hope helps alleviate suffering. In the case of terminal illness, recent experience in palliative medicine has taught physicians that hope is durable and often thrives even in the face of imminent death. 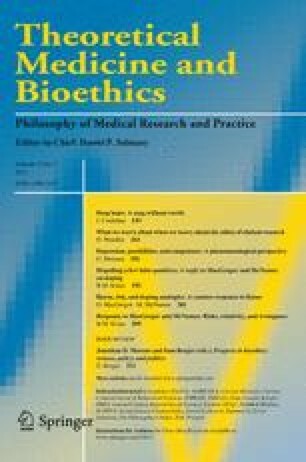 In this article, I examine the perspectives of philosophers, theologians, psychologists, clinicians, neuroscientists, and poets, and provide a series of observations, connections, and gestures about hope, particularly about what I call “deep hope.” I end with some proposals about how such hope can be sustained and enhanced at the end of life. Studies of terminally ill patients have revealed clusters of personal and situational factors associated with enhancement or suppression of hope at the end of life. Interpersonal connectedness, attainable goals, spiritual beliefs and practices, personal attributes of determination, courage, and serenity, lightheartedness, uplifting memories, and affirmation of personal worth enhance hope, while uncontrollable pain and discomfort, abandonment and isolation, and devaluation of personhood suppress hope. I suggest that most of these factors can be modulated by good medical care, utilizing basic interpersonal techniques that demonstrate kindness, humanity, and respect. Helwick, Caroline. 2010. Fostering hope in hopeless situations. MedConnect March 23. http://medconnect.com.my/tabid/92/s19/Psychiatry/ct1/c36049/Fostering-Hope-in-Hopeless-Situations/Default.aspx. Accessed 29 Dec 2010. American Medical Association. 1847. Code of Medical Ethics. http://www.ama-assn.org/ama1/pub/upload/mm/369/1847code.pdf. Accessed 16 Nov 2010.